This is a message preached by Jason Boothe. 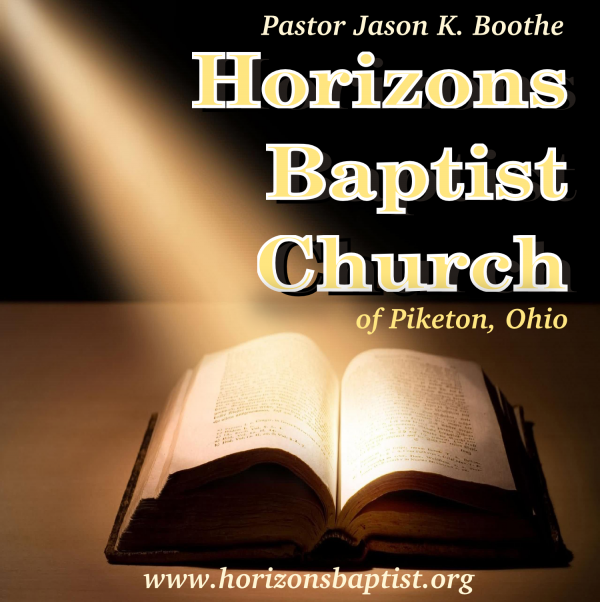 For more information concerning the ministries of Horizons Baptist Church, please visit our website: www.horizonsbaptist.org. In this message, Pastor Jason teaches about the role of Christian works in the life of a believer as well as the wondrous and infinitely more precious work of Christ on behalf of God's elect. The Scripture calls Christians to perform certain works (to love our brothers, to be patient, kind, slow to wrath, etc. ). This is quite evident. However, these works are made acceptable unto God because of the finished work of Christ. Christians work the works God calls them to perform in response to the love first demonstrated to them by God through Christ. Everything a believer does in obedience to God is the reply of an already sanctified, assured, Christian lovingly seeking to serve God. This is how faith works in love! The message then turns to the perfect work of Christ. It is by his wounds that God's people are healed, passing from death to spiritual life!